On Monday, President Ghani met with acting US Defense Secretary Patrick Shanahan in Kabul. Shanahan reaffirmed his country’s commitment to Afghanistan through the implementation of US President Trump’s South Asia Strategy. The leaders also discussed defense matters and matters related to achieving political settlement of the conflict in Afghanistan, as well as ways to ensure that it doesn’t become a safe haven for terrorist outfits, Shanahan expressed. Pentagon’s statement also quoted Shanahan as he praised the sacrifices made by Afghan and Coalition troops and reaffirmed US’s continued support to Afghan forces as they lead the fight to defend their country. 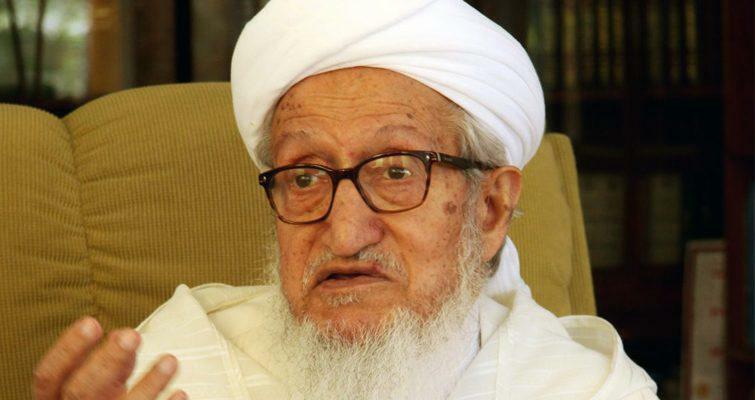 The Ministry of labour and Social Affairs has announced that tomorrow, Wednesday 13 Feb, will be a national holiday in honor of former interim president Sibghatullah Mujaddedi who died last night in Afghanistan. It was informed by Mujaddadi’s son on Tuesday that the former president passed away. In a statement released by Taliban on Tuesday, it has been announced that the group has appointed a 14-member team headed by their former Qatar office head Abbas Stanekzai, for the purpose of talks with the United States. 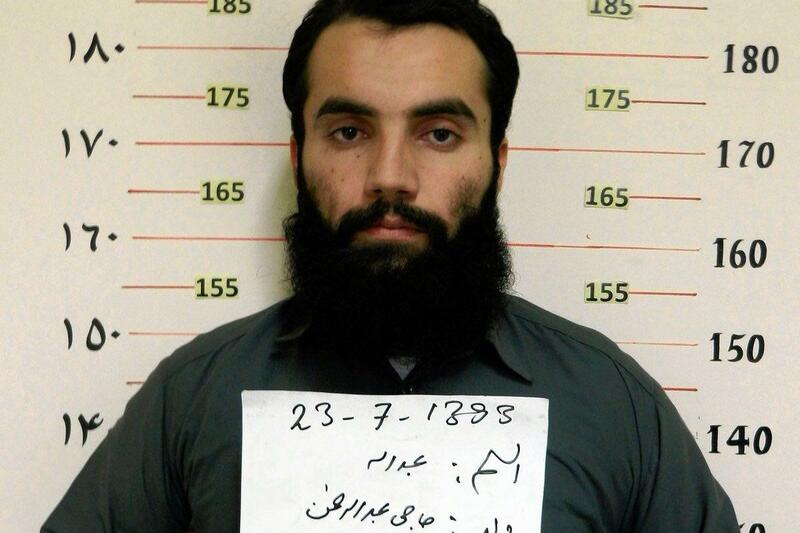 However, the statement mentioned that Anas Haqqani, who is still in prison, is amongst the team members. For this purpose, Taliban has called on the Afghan government to release Haqqani. In a response to this, the spokesperson to President Ghani has informed that no decision has been reached upon regarding the release of Haqqani as the government is obligated to comply with the existing laws. Haqqani is in prison for having committed crime against the Afghan people. President Ashraf Ghani along with his cabinet on Monday approved the draft amendment to the electoral law. Various stakeholders including civil society activists, political parties and presidential candidates earlier approved the draft. The Turkish Embassy in Kabul released a statement on Tuesday to express condolences for the demise of former President Sibghatullah Mojaddadi. The statement added that “Afghanistan has lost an important and wise political leader, who established strong relations with Turkey”. It was informed by Mujaddadi’s son on Tuesday that the former president passed away. 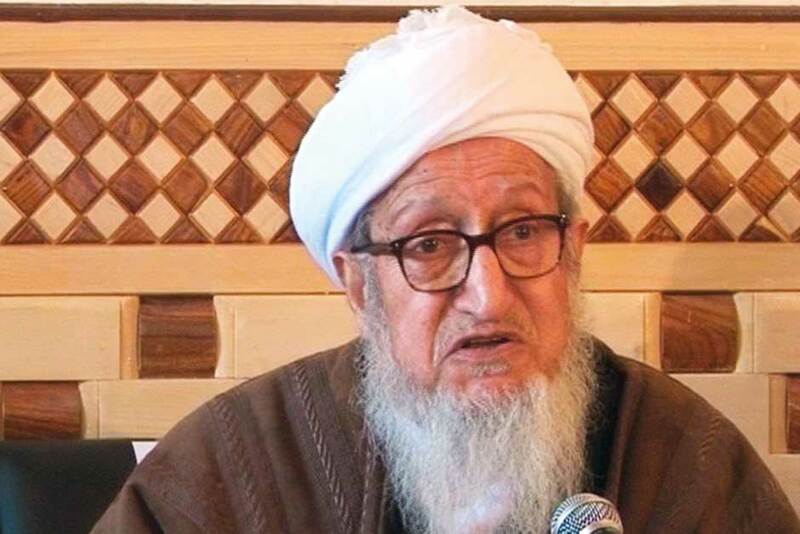 Former Afghan interim president and ex Jihadi leader Sibghatullah Mujaddadi has died, his son confirmed to TOLOnews. Sibghatullah Mujaddadi served as president after the fall of Mohammad Najibullah’s government in April 1992. 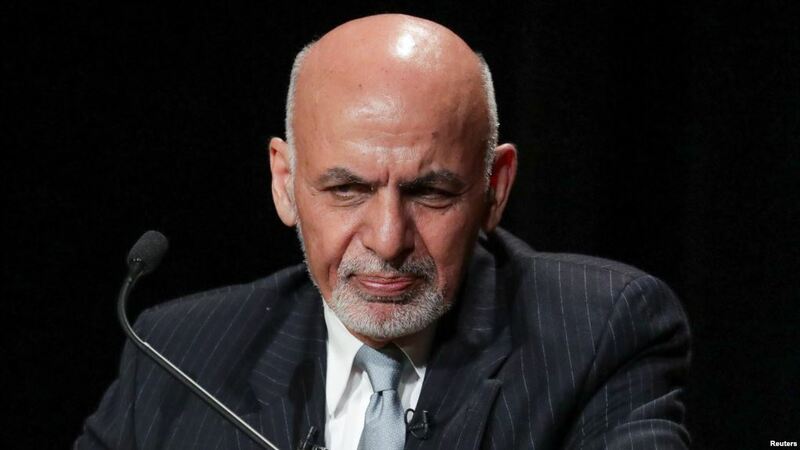 He was also the founder of the Afghan National Liberation Front and served as the chairman of the 2003 Loya Jirga, the Grand Assembly, that approved Afghanistan’s new Constitution after the fall of the Taliban regime in 2001. 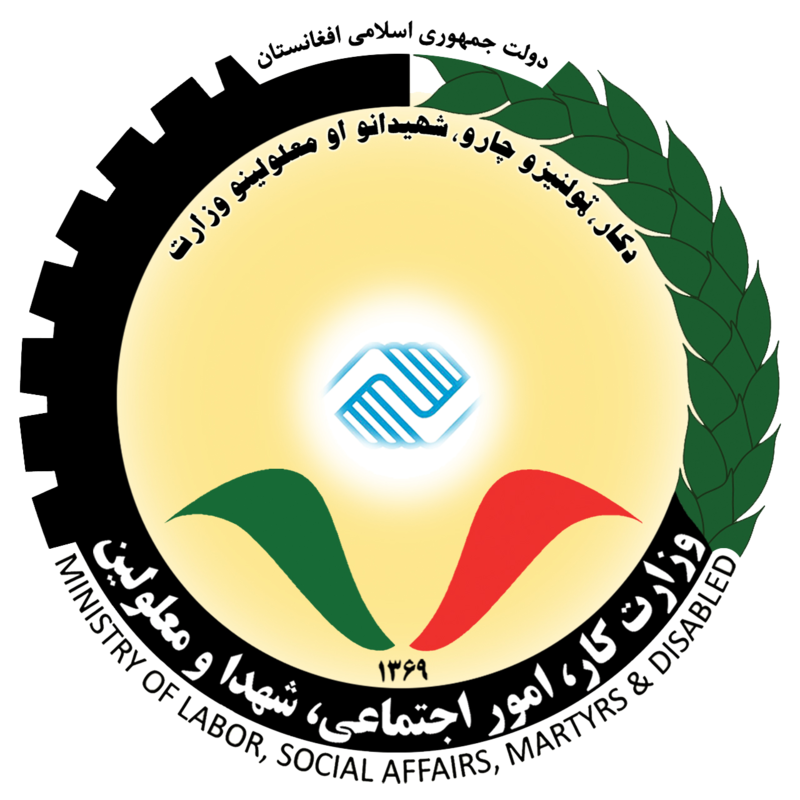 In 2005, he was appointed chairman of the Meshrano Jirga, the Upper House of Parliament, and was reappointed as a member in 2011. He also served on the Afghan High Peace Council. Mojaddedi was considered a moderate Muslim leader. 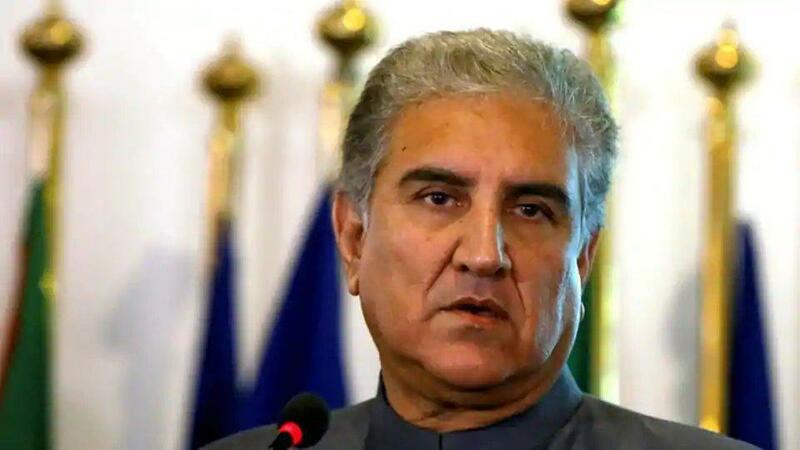 Pakistan’s Foreign Minister Shah Mehmood Qureshi told Pakistani media this week that Islamabad is cooperating with Washington to find a political solution to the long-drawn war in Afghanistan. Qureshi expressed that currently he sees that there is “new thinking within the Trump administration” and a subsequent new convergence of interests is emerging. Qureshi noted that Pakistan Prime Minister Imran Khan stresses that there is no military solution to the Afghan conflict.“If we want peace in Afghanistan, it must come through a negotiated political settlement. Reconciliation through an intra-Afghan dialogue is the best way forward,” Qureshi added. 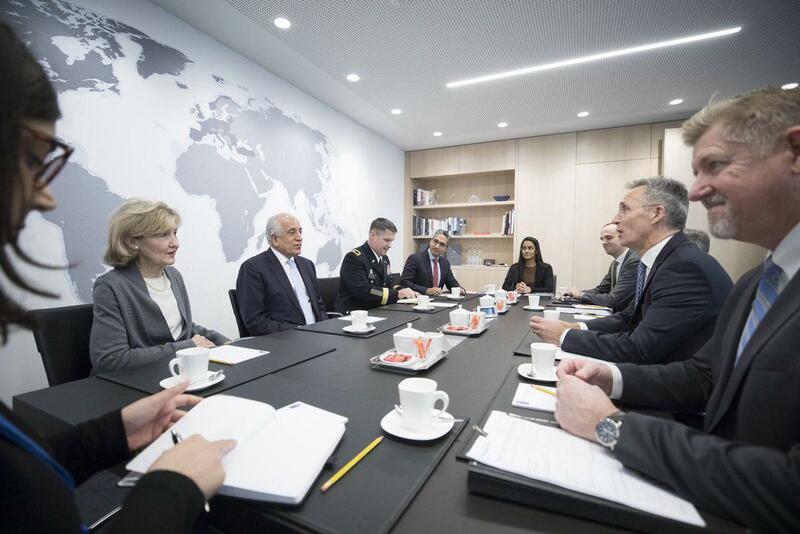 The North Atlantic Council (NAC) defense ministers meeting in Brussels is set to begin on Wednesday, and US Special Representative Zalmay Khalilzad announced on his Twitter that he met and talked to EU and NATO partners on the sidelines of the conference. “Encouraged by their strong endorsement on the progress we’ve made on the peace process. Our shared purpose is to reach a peace agreement (not a withdrawal agreement) that is worthy of the sacrifices made over the decades of war”, Khalilzad wrote. 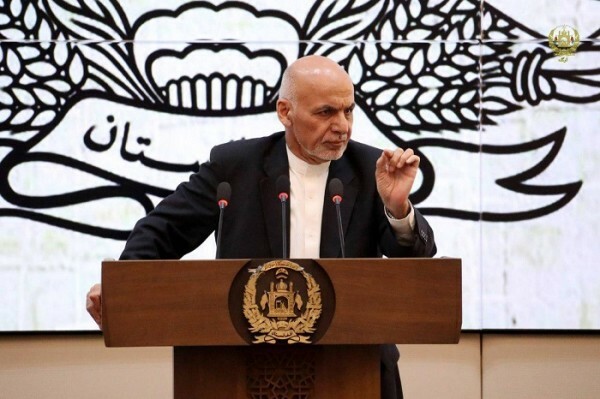 He also wrote that “We went into Afghanistan together, and together we will determine our future posture, based on conditions we determine with Afghans” and added that they all agreed that jumpstarting the intra-Afghan dialogue is an immediate priority. Meetings of the North Atlantic Council (NAC) at the level of Defence Ministers will be held at the NATO Headquarters on Wednesday 13 and Thursday 14 February 2019, according to the NATO website. The meetings will be chaired by the NATO Secretary General, Jens Stoltenberg.